19 April 1919: Captain Earl French White, Air Service, United States Army, and H.M. Schaffer, “his mechanician,” took off from Ashburn Aviation Field, Chicago, Illinois, at 9:50 a.m, Central Standard Time, in the Dayton-Wright DH-4, Air Service serial number A.S. 30130. At 5:40 p.m., Eastern Standard Time, the airplane and its two-man crew landed at Hazelhurst Field, Mineola, Long Island, New York. They flew 738.6 miles (1,188.7 kilometers) in 6 hours, 50 minutes at an average speed of approximately 106 miles per hour (170.6 kilometers per hour).
. . . Captain White had great difficulty in taking to the air in the soft ground of Ashburn Field, the take-off grounds approved by the Aero Club of Illinois. The ground there was soft and the heavy army plane, with her load of more than 190 gallons [719.2 liters] of gasoline, cut into it deeply, but after the aviator had had his plane dragged to a drier and harder spot in the field he managed to take to the air. Circling over Chicago, Captain White ascended to a height of more than 10,000 feet [3,048 meters] and throughout his flight he did not go below this level until he was ready to land, and at intervals he flew as high as 12,000 feet [3,658 meters] He followed the route of the New York Central Railroad for the greater part of the distance, and cities along the route reported seeing him flying at great height and at high speed. About 5 o’clock yesterday persons visiting on the ships of the Atlantic Fleet in the Hudson River and pedestrians on Riverside Drive saw a dark blue airplane come down from the north at high speed, turn sharply to the east when it was about opposite Fiftieth Street and then gradually came to a lower level as it circled about over the city. All thought it was only one of the many airplanes and seaplanes that take their daily practice flights over the Hudson River and Manhattan Island, but it was Captain White and the first Chicago-New York non-stop airplane, bearing the army number 30,130. Plane a Standard Army Machine. 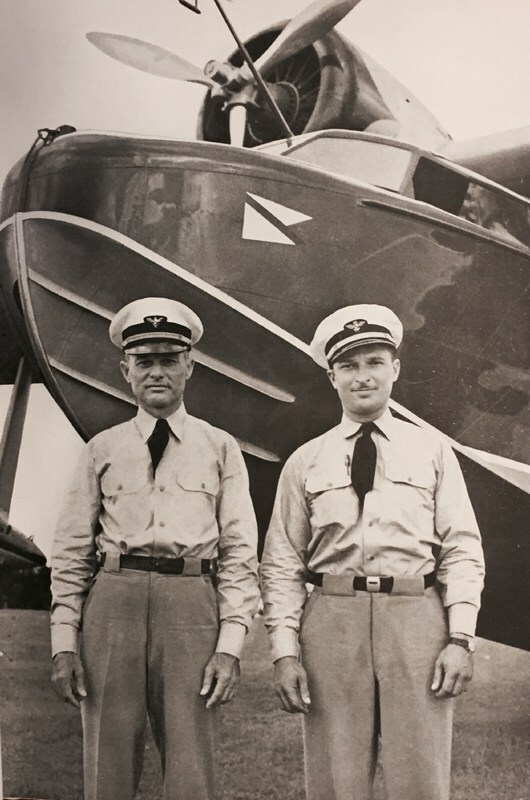 After sailing over the city for about ten minutes, Captain White turned his machine toward the army aviation field at Mineola, where he landed at about 5:40 o’clock. Colonel Archibald Miller, Director of Aviation in the Department of the East and one of the commanders of the Hazelhurst Field, was waiting there to meet captain White and his mechanician, H.M. Schaefer, and they were taken to the field headquarters where an informal reception was held. Officers at the Hazelhurst Field said that the biplane used by Captain White in his flight was one of the standard De Havilland Four machines constructed for the use of the army in France, and that it was equipped with a twelve-cylinder Liberty motor of about 400 horsepower. — The New York Times, 20 April 1919, Page 1, Column 4, and continued on Page 9. Captain White’s flight was observed by members of the Aero Club of America. The time of White’s departure from Chicago was telegraphed to New York. The flight was certified by the Aero Club, which represented the Fédération Aéronautique Internationale (FAI) within the United States. This was the first non-stop flight between Chicago and New York, and was the longest non-stop flight that had been made anywhere in the world up to that time. The Dayton-Wright Airplane Company DH-4 was a variant of the British Airco DH.4, designed by Geoffrey de Havilland (and commonly known as the de Havilland DH.4). It was a two-place, single-engine biplane intended as a bomber, but served in virtually every capacity during World War I and the years following. The Airco DH.4 had a crew of two. It was 30 feet, 8 inches (9.347 meters) long with a wingspan of 43 feet, 4 inches (13.208 meters) and height of 11 feet (3.353 meters). Empty weight was 2,387 pounds (1,085 kilograms) and loaded weight was 3,472 pounds (1,578 kilograms). British-built DH.4s were powered by a 1,239-cubic-inch-displacement (20.32 liter) liquid-cooled Rolls-Royce Eagle overhead cam 60° V-12 engine which produced 375 horsepower. A gear-reduction system kept propeller r.p.m. below engine speed for greater efficiency. The Liberty L12 aircraft engine was designed by Jesse G. Vincent of the Packard Motor Car Company and Elbert J. Hall of the Hall-Scott Motor Company. It was a water-cooled, normally-aspirated, 1,649.336-cubic-inch-displacement (27.028 liter) Liberty L-12 single overhead cam (SOHC) 45° V-12 engine with a compression ratio of 5.4:1. The Liberty produced 408 horsepower at 1,800 r.p.m. The L-12 as a right-hand tractor, direct-drive engine and it turned turned a two-bladed fixed-pitch wooden propeller. The Liberty 12 was 5 feet, 7.375 inches (1.711 meters) long, 2 feet, 3.0 inches (0.686 meters) wide, and 3 feet, 5.5 inches (1.054 meters) high. It weighed 844 pounds (383 kilograms). This engine was produced by Ford Motor Company, as well as the Buick and Cadillac Divisions of General Motors, The Lincoln Motor Company (which was formed by Henry Leland, the former manager of Cadillac, specifically to manufacture these aircraft engines), Marmon Motor Car Company and Packard. Hall-Scott was too small to produce engines in the numbers required. Dayton-Wright DH-4, U.S. Army Air Service serial number A.S. 30130, was built at the Dayton-Wright Airplane Company factory in 1918. It was used for engineering tests at McCook Field, and carried project number P78 painted on its rudder. What became of the airplane after Captain White left it at Hazelhurst Field is not known. 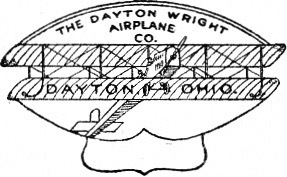 American-built DH.4 airplanes were produced by the Boeing Airplane Company, Dayton-Wright Airplane Company, Fisher Body Corporation, and Standard Aircraft Corporation. Most were powered by the Liberty L12 engine. Following World War I, many DH-4s were rebuilt by Boeing and Atlantic Aircraft. An improved version, the DH-4M, used a tubular steel framework instead of the usual wood construction. DH-4s remained in service with the United States Army as late as 1932. 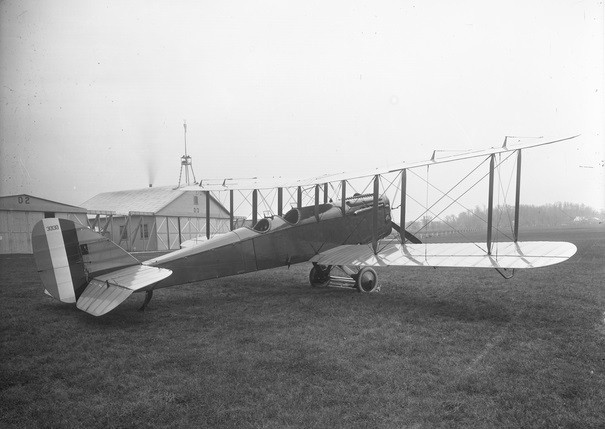 At McCook Field, Dayton, Ohio, the U.S. Army’s aviation engineering center, DH-4s were commonly used as test beds for engines and other aeronautical equipment. Hazelhurst Field was renamed Roosevelt Field in 1920, in honor of Lieutenant Quentin Roosevelt, 95th Aero Squadron, son of former President Theodore Roosevelt, who was killed in aerial combat during World War I.
Earl French White was born at Minneapolis, Minnesota, 12 July 1888. He was the son of Clarence Otis White, a manufacturing engineer, and Harriet (“Hattie”) Isabel French White. He enlisted in the United States Army, 8 October 1910, and was assigned to the 11th Cavalry Regiment at Fort Myer, Virginia. In 1915 he transferred to the Aviation Section, Signal Corps. He completed flight training 27 March 1917. 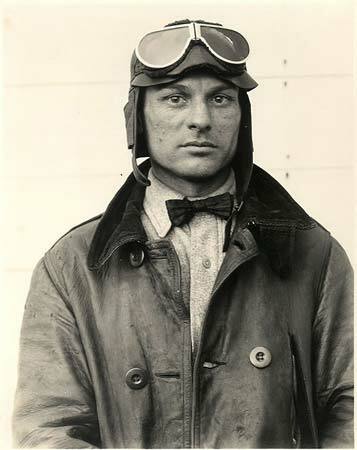 Earl French White was commissioned as a Captain, Aviation Section, Signal Corps, United States Army, on 8 November 1917, and qualified as a Reserve Military Aviator in January 1918. In August 1918, Captain White was assigned to Wilbur Wright Field, Dayton, Ohio, and later, the Technical Flying Field in Dayton. On 1 July 1919, Captain White was one of three pilots who flew the inaugural U.S Air Mail Service route from New York City, New York, to Chicago, Illinois. Captain White flew a DH-4 on the route segment from Bellefonte, Pennsylvania, to Cleveland, Ohio. He carried 6 pouches containing 330 pounds (150 kilograms) of mail, and arrived at Cleveland at 9:30 a.m.
Earl French White married Miss Mary Esther Edmondson at Sarasota, Florida, 26 February 1923. Miss Edmondson had served in France during World War I as a civilian aide with the American Red Cross. They would have a daughter, Patricia. From 14 April 1923 to 30 June 1925, White flew for the U.S. Air Mail Service at Bellefonte, Pennsylvania, North Platte and Omaha, Nebraska, and Cheyenne, Wyoming. He flew scheduled night air mail from July 1924 to July 1925. From 1928 to 1931, Earl White was a pilot for Pan American Airways in the Caribbean area. 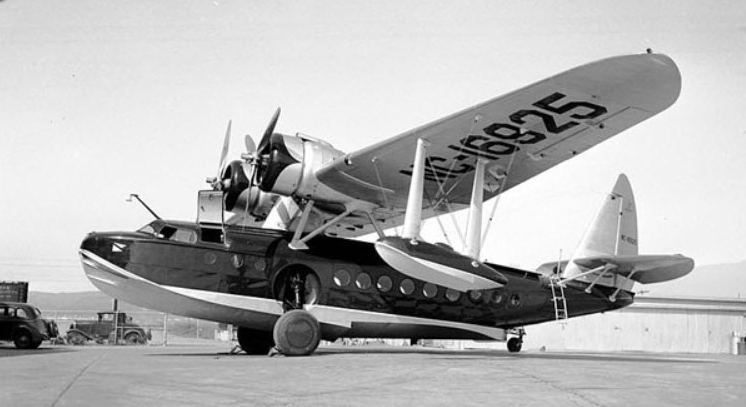 William K. Vanderbilt II’s Sikorsky S-43 amphibian, NC-16925, serial number 4314. This airplane was impressed by the U.S. Army Air Corps 14 September 1941 and designated OA-11, 42-001. It was destroyed in a crash landing at Corcorite Bay, Trinidad, 5 November 1941. All five persons on board were killed. As of 11 February 1937, White had logged a total of 5,370 hours, 50 minutes, of flight time. During World War II, White was employed as a delivery pilot for the Consolidated Aircraft Corporation.